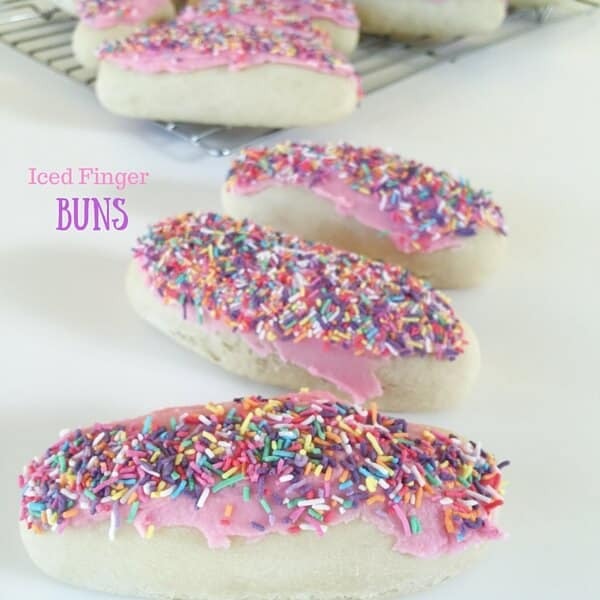 These Iced Finger Buns are light, fluffy, and sweet! They’re just like the ones you’d buy from the bakery. 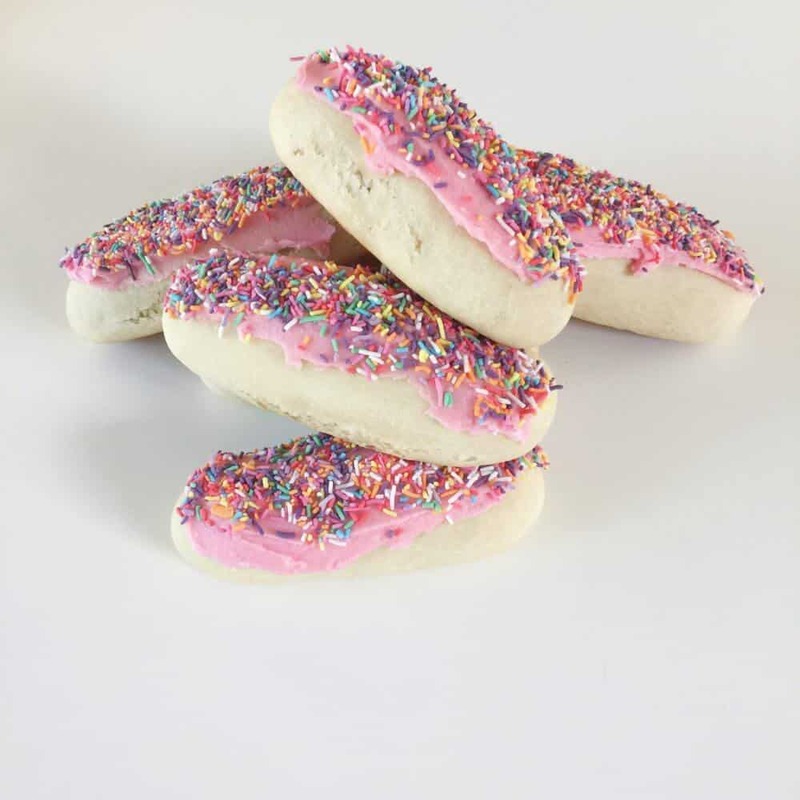 They’re a huge hit with the kids, and you can make them as big or small as you like. They are best eaten within two days. Combine flour, yeast, salt and sugar in a mixing bowl. Add oil and warm water to the flour mix in small increments. Mix until the batter is slightly sticky and comes away from the bowl. Knead with hands or a mixer for 5- 10 minutes until dough is elastic, soft and well-combined. Add sultanas and mix slightly. Place dough in a bowl and cover with cling wrap in a warm place to allow the dough to double in size. Once the dough has doubled in size, place on a floured surface and knock back (bang with hands to get out all the air). Section the dough into 10 equal-sized portions and roll into sausage shapes. Place on a lined large baking tray approximately 1-2cm apart. Place in a warm area covered with a tea towel to rise again for 10 minutes. Cook at 160°C for 15-20 minutes, regularly checking colour. Combine all ingredients in a mixing bowl and mix until smooth. Add food colouring or flavouring essence and mix well. 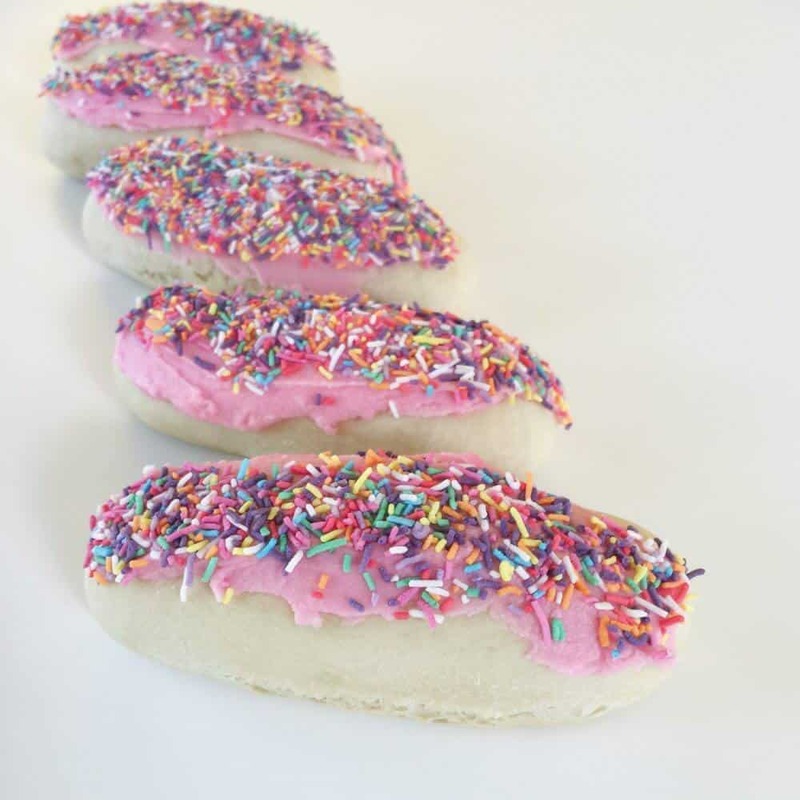 Ice buns when cooled and top with sprinkles or coconut. I freeze them in a airtight container. Cheree, thank you so much this recipe has been a hit! We made them for the second time today and I doubled the mixture. While rolling the buns my daughter asked what else we could do with the dough and we thought we would try cinnamon scrolls! They have turned out great.